Artificial intelligence (AI) tools require a PhD and a huge budget! If that’s what you’re thinking, pay attention. In the past few years, AI tools have dropped tremendously in price. These tools are also more user-friendly than ever. Instead of dedicating years of R&D effort to AI, you can buy AI services off the shelf. Don’t believe it? Check out all these companies that are using AI services today. AI is still perceived as a cutting-edge tool in some organizations. For risk-averse organizations, this perception makes it more difficult to get funding for AI. To address this fear, reference these examples in your business case. 1. Staples: Leveraging IBM technology, Staples has launched an AI-powered chatbot to assist with customer service. Instead of contacting a call center, you can use Staples’ chatbot to check on the status of orders and perform other account tasks. In fact, you don’t even have to type; the Staples system has voice recognition so you can talk to its AI application. 2. Hipmunk: This online travel service first became known as a tool to research and book travel. To win more customers, Hipmunk launched a chatbot via Facebook Messenger. The service can request a user’s location and propose travel options. This means faster service for customers who need to make travel arrangements quickly. 3. Bank of Montreal: Serving customers in the USA and Canada, this multi-billion dollar bank starting using a chatbot in 2019 to serve retail banking customers. As a result, the company is starting to see a reduced workload at its call centers. AI chatbots and virtual assistants are well established in marketing and customer service; IT security is the next frontier. To implement this technology at your organization, follow these tips. Proposing a major innovation to IT security requires support from other executives. If your organization is currently struggling with a security crisis, that isn’t a good time to pursue AI. Consider whether your IT security group is successfully meeting all its goals. We find that most IT departments struggle to find time and resources for proactive work such as risk assessments and scenario analysis. As IT security threats grow each year, IT security professionals are becoming more and more overworked. When staff members become tired and overworked, you’re more likely to lose staff and experience mistakes. Are you not sure where to start this assessment? Look at your IT help desk. 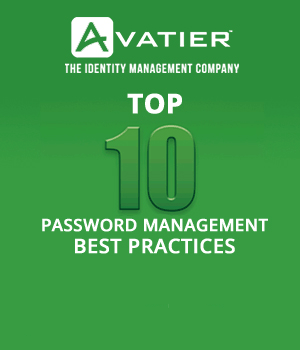 Ask the manager of that group how much time is spent on password resets and administering user account changes. If you’re anything like the companies we work with, you’ll see hours and hours of effort are spent on repetitive activities. Such activities are ripe to be taken over by AI. Resource: Make sure you include an evaluation of your IT security maintenance program. In this step, we’re asking you to dream! Think back to your last strategic planning exercise. What were the IT projects that were pushed off the agenda? For example, you might find that other technology projects across the organization are slow to take off because cybersecurity staff has limited capacity to sign off on project work. If you free up just 10% of your staff capacity by using AI next quarter, you’ll be able to deliver much more value to the business. Now you need to arrange internal support for an AI implementation. At a minimum, assign a project manager to start exploring the project. Ask him or her to develop a business case, a high-level budget, and a list of options. You’ll then need to present this business case to other stakeholders to earn their support. As you prepare to select an AI chat bot for IT security operations, you have three options to consider. First, build the AI chatbot from scratch. Second, use a general AI and adjust it to suit IT security requirements. Third, select an AI chatbot technology built with security in mind. The third option is the best choice if you have limited AI expertise internally and want to implement quickly. 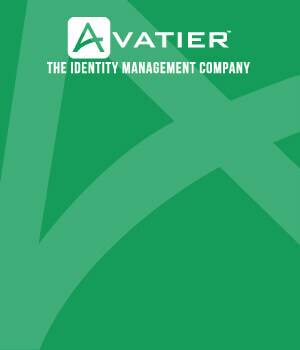 Avatier is going to launch an AI for security service later this year. To find out more, keep visiting the blog as we announced further details. How Can You Present Information Security Metrics Better? What’s the Number One Threat to the Power Industry?